Hey guys. I hope you had a good weekend. I went to the opening weekend of The Piece Hall in Halifax with my mum, sister and gran and we had a lovely girly time. Today's mani is also very girly! 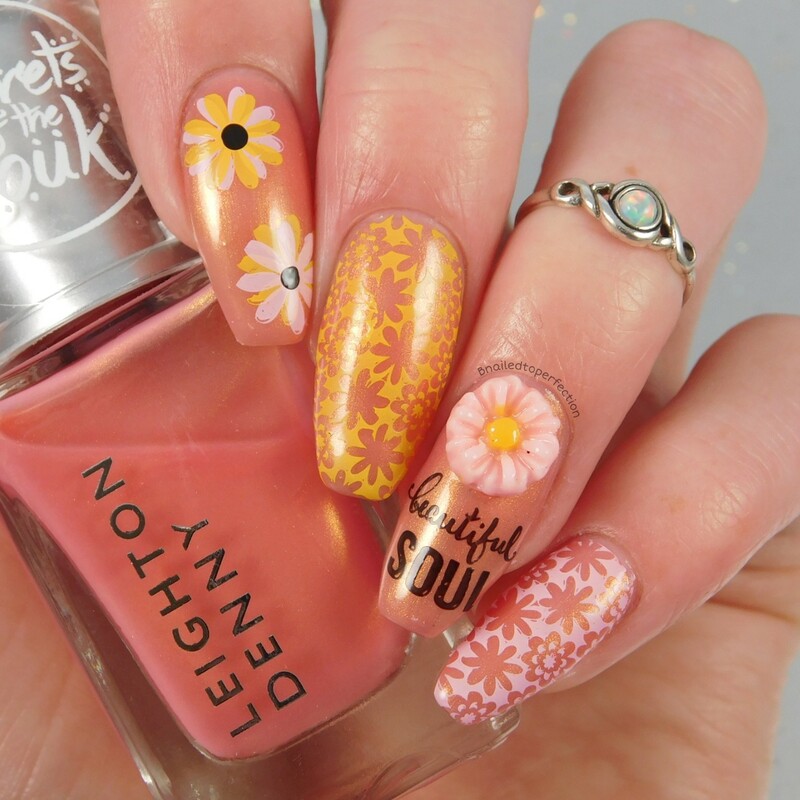 A lovely shimmery base colour with some daisies. 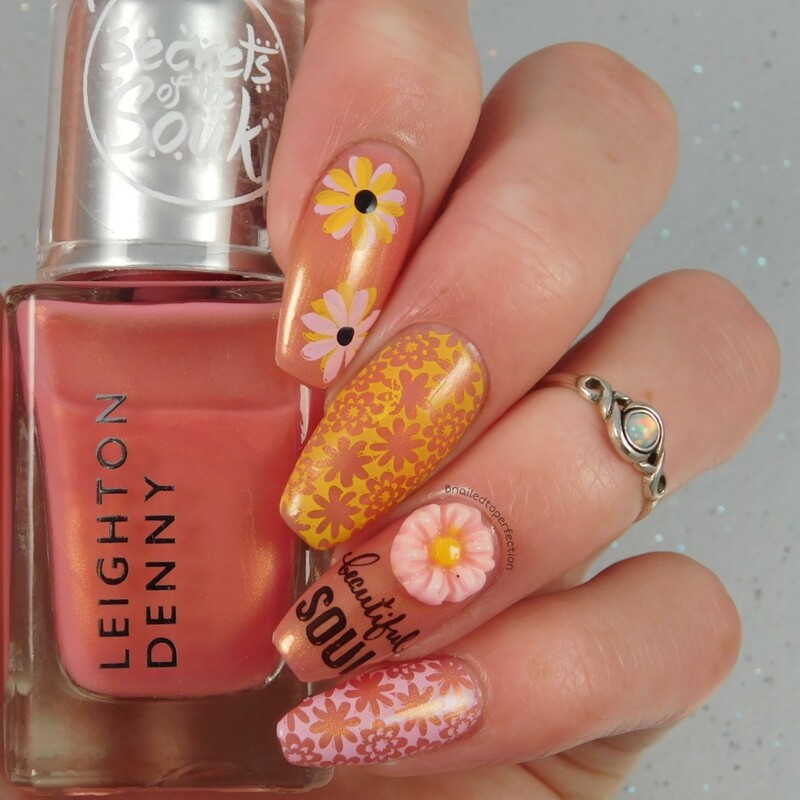 The base colour for this mani is Golden Sunset from the Secrets Of The Souk collection by Leighton Denny. 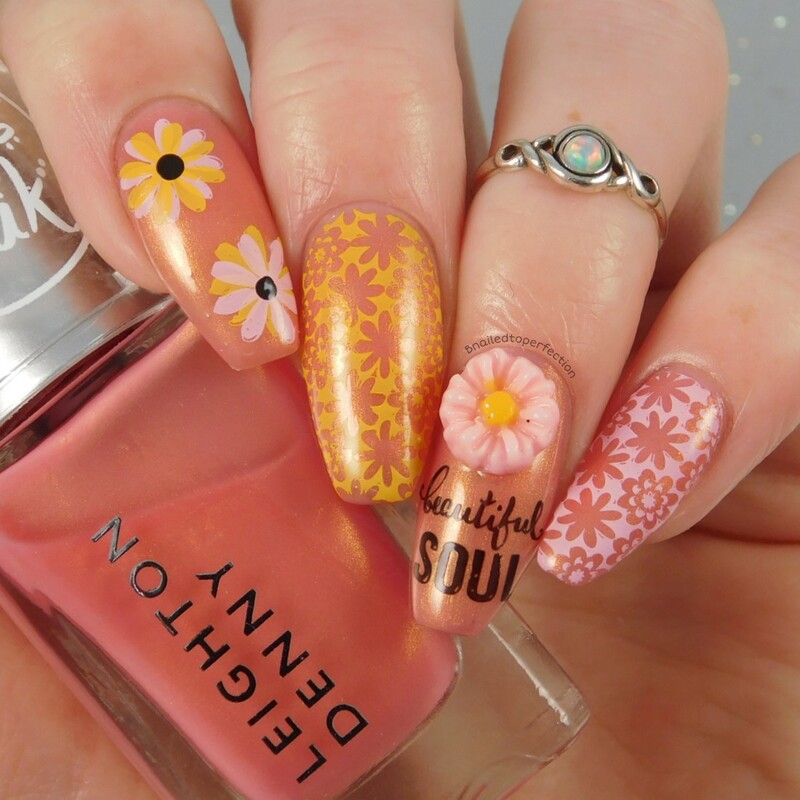 I added a daisy charm from Charlies Nail Art to my ring finger and some wording from Uber Chic 16-01. The daisy images on my pointer finger are from the same plate and I layered two images together but staggered them sightly to get a more fuller looking flower. I thought a flower image from Uber Chic 18-01 finished the design off nicely and really complemented all the daisies. When I started this mani I didn't really know where I was going with it. I just knew I wanted to used this lovely based colour and the daisy charm. Then everything else just popped in my head along the way. Let me know what you thought of this design.